No one looks forward to a hospital stay, but the tech amenities at Jacobs Medical Center could make visits more comfortable for patients. With an iPad and Apple TV in every room, patients will be able to control room settings such as temperature, lighting and window shades. They can access games, log into their own social and entertainment apps, and control the TV. The iPad also provides access to a patient’s electronic medical records, including information such as medications, caregivers' names, diagnostic data, and upcoming lab work or medical procedures. The new facility, which is affiliated with the University of California, San Diego (UCSD), is scheduled to open next month. “Our goal is about the patient experience. The patient is dealing with an awful lot as they’re staying at our hospital, and we want to make it as comfortable a stay as possible,” said Marc Sylwestrzak, director of IS experience and Web services at UC San Diego Health Sciences. Sylwestrzak spoke at the Jamf Nation user conference held this week in Minneapolis. Software maker Jamf specializes in Apple management, and UCSD Health Sciences is a user of its Jamf Pro (formerly called Casper Suite) platform. As Jacobs Medical Center prepares to open, Sylwestrzak looked back at the year-long process that led IT to select iPads, Apple TV, and the Jamf management platform. In the first iteration of its tablet pilot, UCSD started working with about 25 Android tablets at a different hospital. It soon became clear that the IT labor required to provision a tablet for every new patient – and to wipe the tablet when the patient is discharged – was a nonstarter. 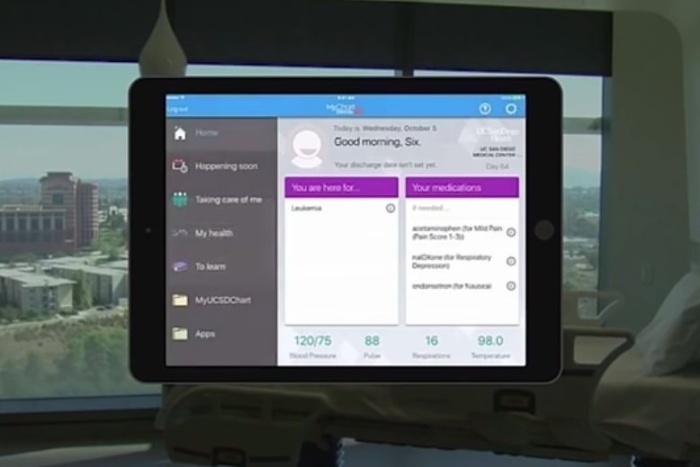 The process worked during the pilot, but it wasn’t scalable, particularly as UCSD prepared for the opening of Jacobs Medical Center, where every patient room is to have a tablet. The original process was labor intensive, requiring an in-person visit from IT. “It required a phone call to the help desk, the help desk would notify device support, and device support would come up and clean the device,” Sylwestrzak said. Patient privacy and compliance with Health Insurance Portability and Accountability Act (HIPAA) regulations are key concerns: Each tablet needs to be provisioned specifically for a patient, and when the patient leaves, the tablet has to be prepared for the next patient with no traces of the prior user. Plus, the provisioning has to happen quickly. Patient turnover is high at a hospital, which puts pressure on IT to keep pace. In a hospital with 245 beds, it’s not unreasonable for 30 or 40 beds to turn over on any given day – which means IT could be reprovisioning as many as 40 tablets every day. “When you’re leaving a tablet in a room, you literally have, in some cases, 15 minutes to turn that tablet around,” Sylwestrzak said. “When we were looking at the less expensive tablets, as we started moving forward with this project, we realized it just wasn’t going to be doable for us,” Sylwestrzak said. As the team looked for different options, Sylwestrzak posed a challenge to Eric Boyd, data security engineer at UC San Diego Health Sciences. “If you can prove to me that we can guarantee privacy, that we can wipe these things and get them turned around in a matter of 15 minutes, and still empower the patients with access to apps, then let’s do it,” Sylwestrzak recalled. 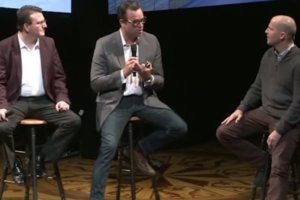 Boyd championed the iPad approach with Jamf’s management suite. The Jamf Pro software offers zero-touch enrollment and self-service app installation options so patients can access apps without having to enter an Apple ID or password. In addition, Jamf Pro communicates with Epic, the electronic health record system in place at UCSD, to coordinate iPad management with patient records. Jamf’s tools also are used to automatically wipe patient data from each iPad immediately following a patient’s discharge and prepare the iPad for the next patient. The digital sterilization process is automated, so no one from UCSD’s IT staff is required to physically touch any device. For patients, the process will be slick. Each room at Jacobs Medical Center is a private room, and in every room there’s a 60-inch flat-screen TV, an Apply TV, and an iPad. When a patient is admitted, there will be a tablet waiting in the room. The patient turns on the tablet, sees the familiar Apple welcome screen, and goes through a few basic configuration steps, such as choosing a language. Then, via Apple’s Device Enrollment Program, the device is linked to Jamf’s software, which takes over configuration of the tablet. UCSD has tailored the home-screen layout and lock-screen backgrounds, and it pushes to patients the most critical apps first. For the bedside care app, a patient is identified with a matrix barcode that a nurse scans, and after setting up a pin code, the patient can see his or her medical records. The app provides access to medication and lab schedules, for example, as well as a medical library for patients who want to research information. Passcode-protecting the patient app helps ensure a visiting child who’s playing an iPad game doesn’t accidentally come across an adult patient’s sensitive medical information, for example. 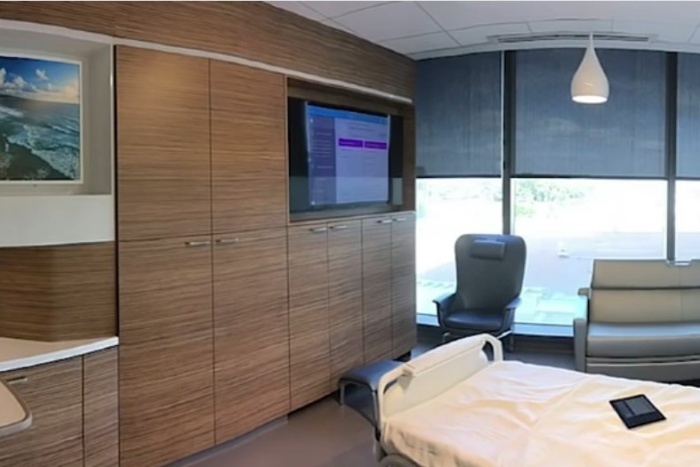 With the room controls, patients can change lighting settings, adjust the room temperature, raise or lower the blinds, and control the TV via the iPad. Social apps make it easier to stay in contact with family and friends, and TV/movie apps allow patients to link to their existing streaming services such as Hulu. The hospital has found that adding games and video apps to the iPad helps keep patients and visitors entertained. “We’ve seen from our pilots that this has drastically increased the amount of time that families are able to stay with a patient,” Boyd says. When a patient is leaving the hospital, a discharge request comes to the iPad through the electronic medical records (EMR) system, and the iPad is wiped automatically. “So there’s no need for an IT person at all to touch this device,” Boyd says.